The first major new building in Aberdeen for a quarter of a century, the new spacious, seven-storey tower stands above its surroundings like a lighthouse. The 40 million euro project, designed by Schmidt Hammer Lassen, is now open to students. Read Jonathan Glancey's online article on the Guardian website. See more images on the e-architect website. 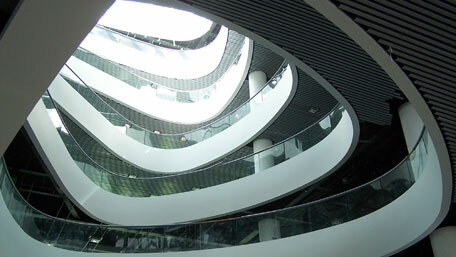 A spectacular academic landmark building featured by ScottishArchitecture.com.